Last time we introduced the first phase of the systems engineering approach to medical device design, the Concept Phase. It’s a phase which emphasizes clear communication between design engineers and stakeholders in the project. Effective communication results in clearly defined stakeholder requirements. Stakeholder requirements are of three basic types, serving the needs of functionality, performance, and constraint. A functional requirement is a basic starting point, specifying the tasks to be accomplished by the system and its basic operation. For example, a medical diagnostic imaging device can be required to operate on a dedicated 15 amp branch circuit when plugged into a 115 volt wall outlet. Performance requirements delineate specific expectations as regards the system’s functionality, typically specifying parameters within which the system is to perform. For example, a medical device can be required to process a minimum number of test samples per hour. 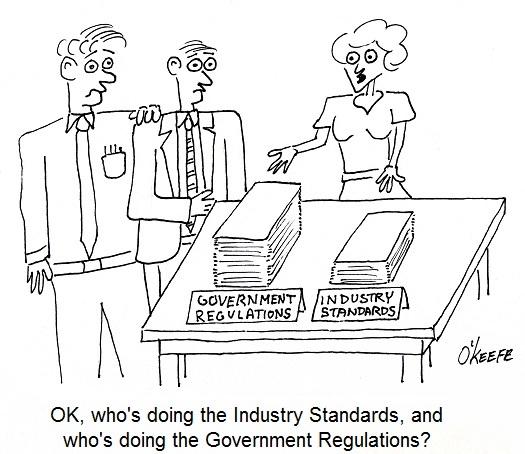 As for constraint requirements, they’re typically concerned with satisfactorily complying with both governmental regulations and industry standards. Governmental regulations include those established by the US Food and Drug Administration, as well as any applicable foreign agencies that may be involved should the medical device be introduced to other countries. Once the draft specification is written, design engineers review it in painstaking detail. Stakeholders’ requirements must all be accounted for and interpreted correctly. This is typically done by sitting down with each stakeholder and reviewing the draft. Finally, each stakeholder’s signature is obtained, signifying their approval. Now complete, the approved specification is used as a roadmap to guide project development through to the next and final step of the concept stage, devising alternate medical device concepts. Why discuss alternate concepts? Just like consumer comparison shopping for TVs and other goods, you’ve got to have a basis of comparison in order to make a sound judgment. This holds true for the medical device industry as well as private households. Next time we’ll proceed to the next stage of the design process, Development. We’ll see how alternate concepts are evaluated to find the best overall option, thus beginning the actual design process leading to manufacture.